Networking In Brighton is a women’s business lunch club. It’s a supportive, welcoming networking group where you can promote your business, connect with other businesswomen, share knowledge and exchange ideas. You’ll also make friends with like-minded women. 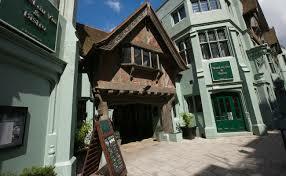 On the first Wednesday of each month we meet for lunch at the rather gorgeous Hotel du Vin. You’ll get to enjoy the hotel’s famously delicious food plus a complementary drink but most importantly, you’ll receive plenty of inspiration and support for your business. Networking can be daunting. Regardless of whether you’re a relatively new start-up or an established businesswoman, you’re bound to feel a bit nervous. But that’s fine, we’ve all been there so we’ll make sure you feel welcome. Why not come along and give it a try? You can attend twice as a guest with no obligation to join, although we’ll need to know you’re coming so please pre-book here. Don’t forget to tell us what you do. We have a sector exclusivity policy to save us worrying about competing for business with other members. They say you shouldn’t mix business with pleasure, but we think that’s hogwash. This is a great opportunity to develop your business, make new contacts AND have fun at the same time. Sadly though, there is no such thing as a free lunch…but don’t worry, we keep things affordable. Membership is just £25 per month for a superb lunch, a glass or wine or soft drink, and fabulous company. We also organise the occasional night out with the girls. Interested in joining? Find out more about membership, or book your place as a guest here.